Tabata Intervals ( 20 seconds of work followed by 10 seconds of rest repeated 8 times) is applied in turn to the Squat, Rower, Pullups, Sit-ups, and Push-ups with a one minute rotation break between exercises. Each exercise is scored by the weakest number of reps (calories on the rower) in each of the eight intervals. During the one minute rotation time allowed the clock is not stopped but kept running. The score is the total of the scores from the five stations. It has been a great week and a solid effort from all. Enjoy this rest day. Come into the gym and work on skills, or catchup on a WOD that you have missed. 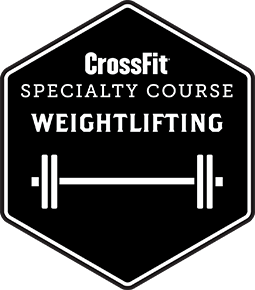 We will be coaching Kipping Pullups and Medicine Ball Cleans, plus spending some time on question and answer for anything that you are having trouble with. Complete as many warmup sets as necessary to get to starting weight of at least 85% of 1 rep max. Increment each set. Rest as required between sets. Brisbane City Council will be carrying out maintenance work on the water mains on Tuesday and as such, it is likely that we will be without water for the day. They have advised that the water may be disrupted between 8:30am and 5:00pm. So please bring in a full water bottle for Tuesday's workouts, and note that the toilets and showers may not be working and plan accordingly. Apologies for any inconvenience! This is a max effor workout. Each interval should be as fast as you can possibly run! Enjoy! Note time for each interval to comments. Thruster/Burpee WOD USA vs. AUS from crossfitoneworld on Vimeo. Enjoy your rest day. Get ready to go again! Rest, recover and get ready to go again. If you have missed a WOD this week, come into the gym and catch it up. We will be teaching Rowing technique in the sessions.